PBA commissioner Chito Narvasa said he has reprimanded Alfrancis Chua after the Barangay Ginebra team governor was caught on national television puffing an e-cigarette on the bench during a league game on December 5 at the Angeles University Foundation Gym in Angeles City. 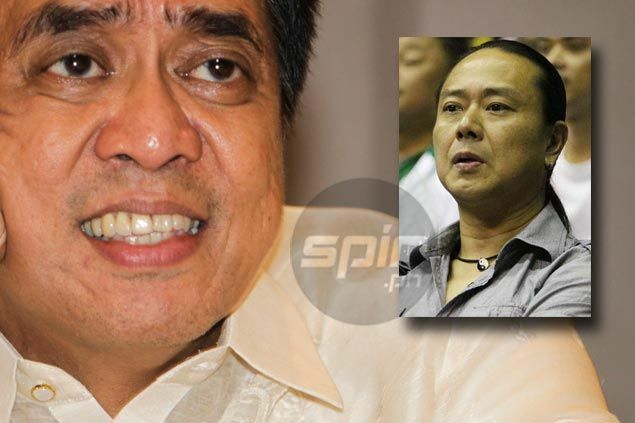 Narvasa said he has talked to Chua on Monday about the incident which has drawn flak on social media, and he assured that similar infractions will not be tolerated in the future. “Sabi ko sa kanya, ‘Partner, kapag naulit 'yan patay ka na sa akin,'” Narvasa added. Narvasa said the PBA has no existing rules on the use of e-cigarettes inside the court, but he nonetheless assured that similar acts will not be taken lightly in the future. The first-year commissioner also said Chua was 'very, profusely apologetic' about the incident. “Any infraction of any player, they come in, we fine them, it’s over. Rest assured we are responsible people in this association. In the 41 years, hindi pababayaan ng board 'yan,” said Narvasa. Narvasa also emphasized the Ginebra official apologized to the league, the team, and the management of San Miguel Corp. where he is sports director. “The PBA is a responsible association. We also regulate ourselves. We don’t need people to advise us especially those who are irresponsible people only looking at one side of the story and having it published," he said. "Ang gusto lang namin dito is you listen first to what happened and the guy is very apologetic. He knows he made a mistake and he said it won’t happen again and whatever it is he needs to make amends, he’s willing to make amends."